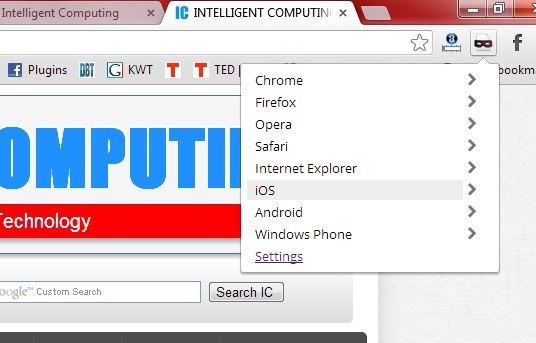 Google Chrome is worldwide loving browser, but many of the super user may need to test their stuffs on Different browser including mobile browser, do it all with one click, switch any browser agent to browse the web. I am blogger and frequently I have to implement some design in my blog as well as friends blog, I usually have Google chrome and Firefox as my browser. After implementing the design, I needed to check how my design looks in Android/iPhone/Safari and all. I can’t install those entire browser on my PC it will eat my resource, all that even just for a quick view, its suicide. 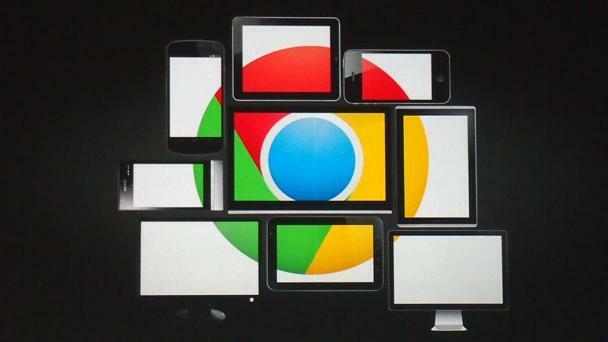 Google chrome will let you switch most of the browser agent within a click and one refresh. On Google chrome store you can find User-AgentSwitcher for Chrome, this small and light plug in will let you do all. Install and add this plug-in to Google chrome and you’ll notice small new icon on right of Ommibox of Google chrome. To switch the browser agent, simply click on the new UA switch extension and a list will appear. i.e. 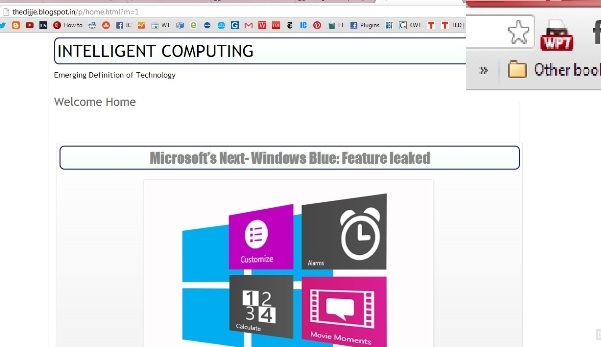 IE6/IE7/IE8 and IE9, similarly with windows phone/iOS or Android. Once you’ve selected the agent, browser will refresh the page and load as the new agent. So you can see how your website looks in other devices/browser. You can make any agent permanent for your web browser, while switched to any UA, select the extension icon and choose Add to permanent list and next time it will be set permanently. You can also use some mobile website to browse permanently in Mobile U/A, just click on Extension Icon select setting and from left plane, select Permanent Spoofed list. 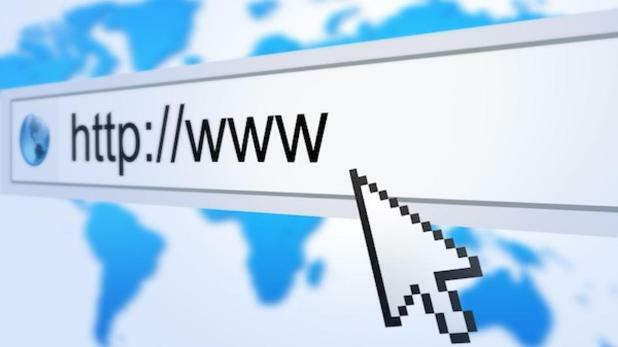 You can add website name and particular user agent name to permanent spoofed list. This means whenever you’ll browse these websites, it will be opened in your favorite user agent like iPad/iPhone/Android Google Nexus 7/Windows phone 7 etc. This application may not have the entire agent you wanted, so you can add them latter too. Just name the new agent, enter the string (You can Google it) group it and select replace to add new agent. 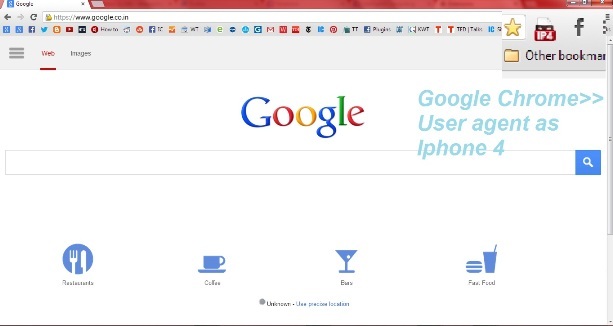 This is surly helpful tool for wide user and who want to see web in all the dimensions just on Google chrome. Share this amazing post with your friends, and comment below to let us know your thought.